Did Fear of Trump Prevent a Hispanic Debate Moderator? 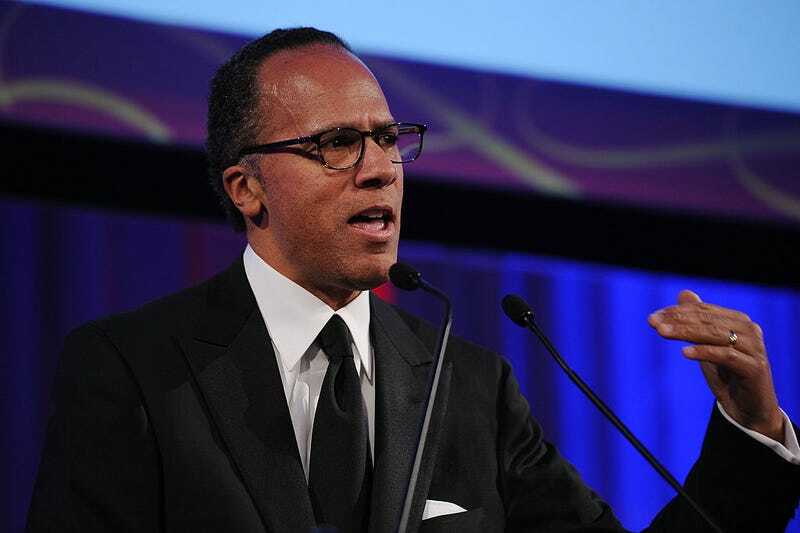 "NBC Nightly News" anchor Lester Holt has been chosen to moderate the first of four presidential debates, and Elaine Quijano, a CBS News correspondent, will moderate the vice presidential matchup, the Commission on Presidential Debates announced on Friday. The choices — which also include Martha Raddatz of ABC News, Anderson Cooper of CNN and Chris Wallace of Fox News as presidential debate moderators — are a marked change from 2012, when failure to include journalists of color prompted protests from the journalist of color associations as well as the NAACP and the Joint Center for Political and Economic Studies, an African American think tank. Hugo Balta, then president of the National Association of Hispanic Journalists, even met with Mike McCurry, a commission member, and asked whether it would be possible for NAHJ and the National Association of Black Journalists, along with the Unity alliance, which then included NAHJ, the Asian American Journalists Association, Native American Journalists Association and National Lesbian & Gay Journalists Association, to present questions pertinent to their respective communities. McCurry said yes. Holt is African American, and Quijano is of Filipino descent. The absence of a Latino in the lineup prompted a statement of disappointment from Brandon Benavides, who became NAHJ president last month. Benavides was seconded by Univision CEO Randy Falco, who wrote the commission Friday that it should have picked a Spanish-language moderator. "Since 1980, no candidate for President of the United States has won without at least 30% of the Latino vote – Reagan won with 37%, Bush Sr. with 30%, Bush Jr. with 40%, Clinton with 72% and Obama with 71%," Falco wrote. "And we are seeing the number of registered Hispanic voters in key battleground states like Colorado, Nevada and Florida is trending upward. In fact, since the 2012 Presidential Elections, the percentage of Hispanic registered voters has increased to 16% in Nevada and 19% in Florida. Sum these data points with the fact that, once registered, Latinos [turn out] at equal to or higher rates than other voter groups, and the conclusion is obvious: candidates must engage and speak directly to these voters. . . ."
Benavides wrote, "It’s imperative to hear Hispanic voices on the national level, given the impact of this election cycle . . . We are dissatisfied no progress has been made in the past four years and once again we have been overlooked. . . ."
On the progressive media watch site Media Matters for America, Cristina Lopez linked the failure to include a Latino to Republican Donald J. Trump's June allegation that U.S. District Court Judge Gonzalo Curiel, overseeing a lawsuit against Trump University, is biased because of his Mexican heritage. "With the commission taking into account Trump’s previously levied attacks, it’s not surprising that the commission didn’t include a Latino journalist in their selection of presidential debate moderators. After all, the candidate is on record saying he believes people with Hispanic heritage might not be objective when dealing with him because he has promised to build a border wall between the U.S. and Mexico," Lopez wrote. "The CPD also announced that Steve Scully, Senior Executive Producer, White House and Political Editor for C-SPAN Networks, will serve as backup moderator for all the debates. . . ."
Commissioners Frank Fahrenkopf and McCurry said in the announcement, "These journalists bring extensive experience to the job of moderating, and understand the importance of using expanded time periods effectively. The formats chosen for this year's debates are designed to build on the formats introduced in 2012, which focused big blocks of time on major domestic and foreign topics. We are grateful for their willingness to moderate, and confident that the public will learn more about the candidates and the issues as a result." Journalists did not forget the issue of moderator diversity in this election cycle. Dodai Stewart and Alexis C. Madrigal wrote for Fusion last week, "Traditionally, presidential debate moderators have been white men over 40. In 2012, all four moderators — Martha Raddatz, Jim Lehrer, Bob Schieffer and Candy Crowley — were white people over 55. It was the first time in 20 years a woman had been chosen to moderate. "This isn’t what America looks like. Issues around race, gender, immigration, discrimination and justice are not just talking points — they’re a matter of life or death for many. We need moderators who better reflect this reality. . . ."
They provided a list of "journalists who cover politics and are NOT white men over 55. . . . ."
Missing from the list of debate moderators was the journalist of color who has clashed most prominently with Trump: Jorge Ramos, who was escorted out of a Trump rally in August 2015. "Ramos, who got some flak for challenging Hillary Clinton on Benghazi and on her private email server during a primary debate, thinks it’s time for a Latino to moderate one of the three presidential or one vice presidential debates," Chris Ariens wrote for TVNewser on July 19. The moderator choices are not the only controversial aspects of the faceoffs. Fairness & Accuracy In Reporting noted during the 2012 cycle, "The Commission on Presidential Debates, which wrested control of the debates from the League of Women Voters in 1988, is a nonprofit — financed largely by corporations — that is basically controlled by the two major political parties. The campaigns hash out secret agreements about every aspect of the debates, and, as the group Open Debates has pointed out for years, the campaigns actually get to vet the moderators." A group called "Change the Rule," which included James Glassman, a diplomat during the George W. Bush administration, proposed a rule "that would allow a third candidate — who is neither a Democrat nor a Republican — to qualify for the debates through a ballot access signature competition," Stephanie Condon reported last year for CBS News. Liz Spayd, New York Times: The News From Trump Changed. The Main Story Was Slow to Catch Up. "A top Donald Trump surrogate admitted to falsifying some of his professional accomplishments after a contentious confrontation with CNN anchor Victor Blackwell," (video) Sophie Tatum reported Saturday for CNN. "South Carolina preacher Mark Burns, who regularly introduces Trump at his campaign events, had listed on his church's website that he had a Bachelor of Science degree and served six years in the Army Reserve. "Burns, however, was never in the Army Reserve. He was in the South Carolina National Guard, from which he was discharged in 2008, CNN found. "As far as a Bachelor's degree, North Greenville University told CNN he only attended the school for one semester. Burns admitted that he did not finish his degree when CNN asked him about it. "But the site host, Wix, said there was no evidence of a hack. "'I'm not here to destroy your character,' Blackwell replied. "Burns abruptly ended the interview by walking away. . . ."
Burns was mentioned prominently Friday in a Washington Post column by Colbert I. King on the decline of the Republican Party among African Americans. "Burns’s current claim to fame? The cartoon he tweeted this week depicting Hillary Clinton in blackface and saying 'I ain’t no ways tired of pandering to African Americans' while holding a sign reading '#@! * the police,' " King wrote. "When San Francisco 49ers quarterback Colin Kaepernick refused to stand for the national anthem during a preseason game against the Green Bay Packers Friday, he called attention to some of the most divisive issues roiling America: race, protest, policing, patriotism," Lonnae O'Neal wrote Thursday for the Undefeated. "The controversy, which is ongoing, promises to be dramatic theater. "Less obvious are some of the more nuanced questions the Kaepernick story raises. "Those questions center around NFL Network reporter and analyst Steve Wyche, who broke the story. They are questions about diversity in the media. About invisibility and hiring. "About how Wyche, an African-American reporter, was the only journalist to ask Kaepernick why he was sitting out the anthem, and one of the few reporters in the country with the experience to contextualize the story as part of one of the nation’s most important conversations (as opposed to a bratty, ungrateful publicity stunt). "And about why there are so few other people of color in a position to do the same. "They’re questions about why the country is more brown than ever but mainstream journalism is so white, and all the stories we might be missing because of it. . . ."
O'Neal also wrote, "His reporting skills are why he got the story, Wyche said, but being an African-American helped him see layers of intersection. 'I can’t tell you how many locker rooms I go into or how many press boxes I sit in and I’m the only black person, or one of two or three,' said Wyche, referring to the press corps. David Leonard, vox.com: The NFL is 67% black. Diversity hasn't helped white players and coaches understand racism. "Roger Ailes is no longer at Fox News after leaving the company in July with a large settlement following a sexual harassment lawsuit by former anchor Gretchen Carlson," Mathew Ingram reported Friday for Fortune. "But the full story behind the former chairman and CEO’s behavior at the news network continues to unfold. "In the latest exposé, New York magazine writer Gabriel Sherman — who started investigating reports of inappropriate behavior by Ailes when he wrote an unauthorized biography of the Fox News CEO in 2014 — paints a portrait of a company ruled with an iron fist by an arrogant, often paranoid, and intensely secretive man. In many ways, it makes Fox News look like a kingdom ruled by a feudal lord. "Even before the latest story came out, it was fairly obvious that Ailes and his supporters were trying hard to do damage control on some of the more explosive allegations. Lawyers started calling reporters and feeding them damaging quotes about Sherman and his work, taken from a 400-page research file about him. "1) Gretchen Carlson secretly taped conversations with Ailes . . .
"2) Ailes illicitly acquired the phone records of journalists . . .
"3) Murdoch blamed Ailes for using Fox to support Donald Trump’s candidacy . . .
"4) Rupert Murdoch initially tried to protect Ailes, but his sons had other ideas . . .
"5) Ailes’ lawyer mistakenly leaked a copy of his settlement . . . "
"After five years at UPTOWN Magazine, I have decided to move on," Isoul Harris wrote Thursday to colleagues at the "luxury, lifestyle and living" publication aimed at African Americans. "It was a great ride. I started as a Senior Editor and a year later I became the Editor-in-Chief. My tenure took me from Harlem to Hong Kong (and around the globe a few times). I walked the bustling streets of Vietnam and down the halls of the White House. I shared my work on Good Morning America and told my story on the stage of The National Urban League Conference," Harris said in a note also posted Friday on Instagram. He also wrote, "Since early 2015, I have had the pleasure of working as a Brand Ambassador for American Express Platinum. I strategize with the global brand to develop activations and experiences that organically promote the benefits of being a Platinum Card Member both domestically and internationally. "As publishing changes, so must its editors: I have been working in the growing field of branded-content and native advertising with luxury brands. I have evolved my role as an editor and content creator. "That being said, I am ecstatic to announce that I am now the Director of Strategic Partnerships for Surface magazine, the American magazine for global contemporary design. . . . Each issue, at 250+ pages, is coffee-table worthy and a cultural event." According to the Alliance for Audited Media, previously the Audit Bureau of Circulations, the New York-based Uptown, had a circulation of 228,488, when Harris became editor-in-chief in 2013. It is not listed in the alliance's most recent report. Len Burnett Jr., CEO, Group Publisher at CEO Uptown Media Group, and Brett Wright, Principal and President of the Uptown Magazine, Latina Media Ventures & Hype Hair did not respond to inquiries on Friday. Leon Harris, who spent 20 years at CNN before being lured to an anchor job 13 years ago at Washington's WJLA-TV, an ABC affiliate, is leaving the station in October in a move that was "not my choice," Harris tweeted on Friday. Jacob did not respond to an inquiry, and station spokesman Stan Melton Jr., director of creative services, told Journal-isms by telephone that he could not discuss anything that was not in the news release. In a 2010 profile in the Washington Post Magazine, media writer Paul Farhi told readers, "Amid all the uncertainty, WJLA is counting on Harris to be its signature face, its news 'brand.' There's an old saying: People don't watch the news; they watch the people who bring them the news. "When WJLA lured Harris from CNN in 2003 and made him anchor of WJLA's 5 and 11 p.m. newscasts, the station's executive saw just the right blend of gravitas, likability and camera-friendly looks. It didn't hurt, either, that Harris had network-news chops, honed after a dozen years of reporting issues including the 1992 Los Angeles riots and President Bill Clinton's impeachment. . . . 'Trust.' In a few years, Fred Ryan says, Harris could be without peer among local anchormen. . . ."
Sinclair Broadcasting Group bought WJLA and six other stations from the Allbritton family, in 2013. WRC-TV, owned and operated by NBC, remains the market's ratings leader. Abigail Constantino reported Friday for WTOP radio, "In 2013, Harris was diagnosed with necrotizing pancreatitis, an inflammatory process of the pancreas, which led to a health crisis. He was taken to Suburban Hospital in Potomac, Maryland, and later transported to Johns Hopkins Hospital in Baltimore. Harris told CNN that he came close to dying a few times while he was hospitalized. He returned to work more than month later. . . ."